The holiday season is crazy enough, then add on the kids being out of school– it can be total chaos. But it doesn’t have to be! Here are a just a few of the awesome reasons to skate at Skate Station during the holiday break. The holidays can be a time when people spend, well, maybe too much time on the couch. Get the kids away from the video games and TV and into a pair of skates! Roller skating is a great way to socialize. The rink will be open during the day for most of the holiday break. If you have last minute cooking or shopping to do, this can be the perfect opportunity for your kids to get out with their friends. Our New Year’s Event is a BLAST for the entire family! No worries about babysitters or coordinating rides with other parents, everyone is sure to have a great time at our party! 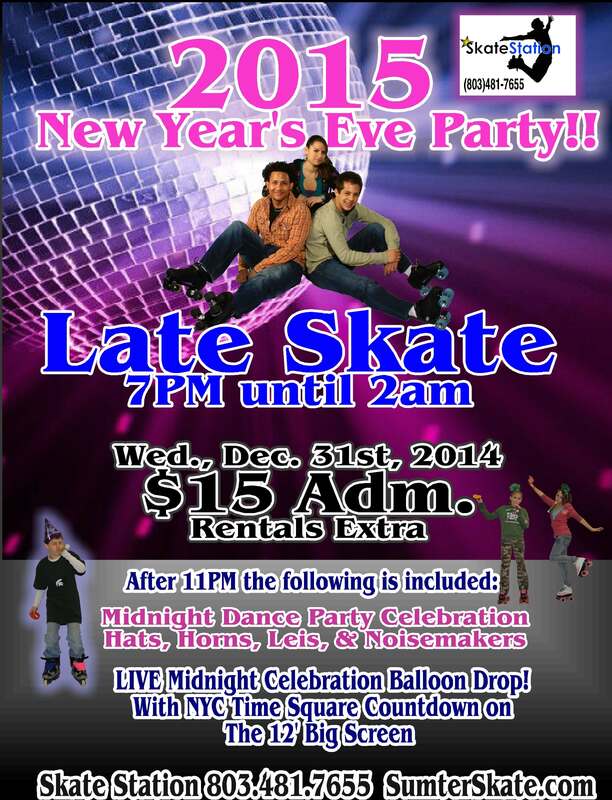 For more information about New Year’s Eve at Skate Station click here. Bonus events! We don’t need a holiday to have a good time. Our extended, matinee hours will go all break long! Beat the chilly weather and warm up on the rink! Getting that blood flowing by skating! It’s too fun to feel like working out. Looking for something to do during Christmas break in Sumter, we can’t wait to see you. Check out our full Holiday schedule here. Get Ready for Christmas Break with Skate Station! Can you believe it? Christmas is right around the corner and 2014 is about to end! It’s been an awesome year and we can’t wait to make 2015 even better! Here are some awesome events we’ll be hosting to close-out 2014 with a bang! Do you LOVE Mountain Dew? We dew! 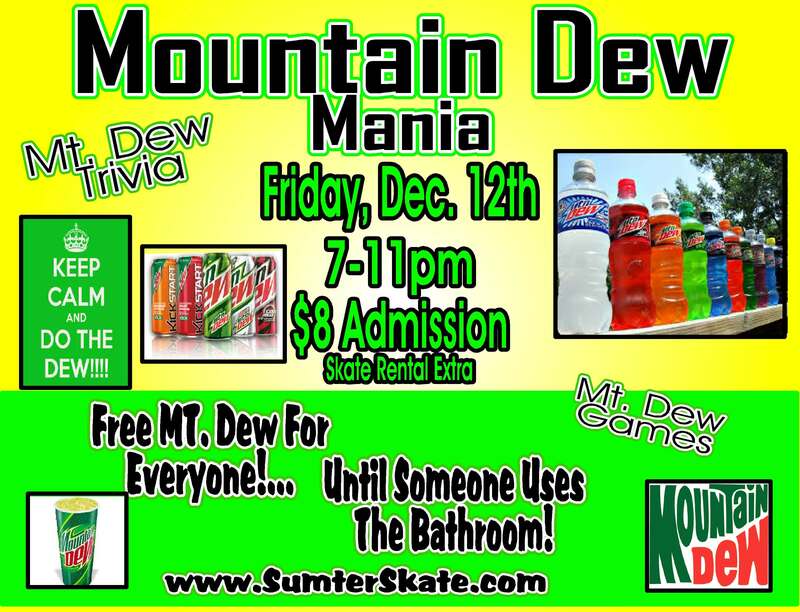 And on FRIDAY, Dec 12, we’ll have free Mountain Dew for EVERYONE until someone uses the bathroom! Admission is $8 (skate rentals are extra) and we’ll be skating from 7pm until 11pm! Can’t get enough of the sweet stuff? No problem! 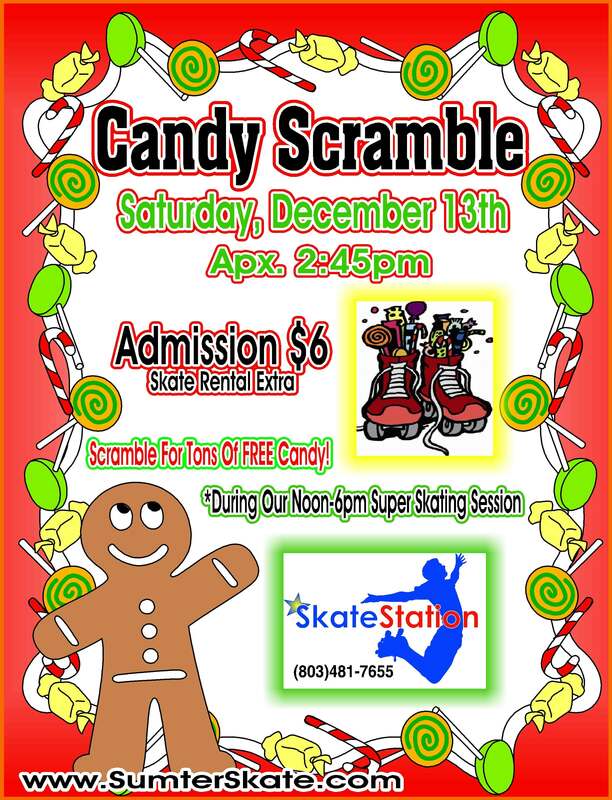 Come right on back SATURDAY, Dec 13 for a Candy Scramble! We’ll be skatin’ for sweets around 2:45. Be there! Are you trying to make your New’s Year Eve plans? We’ll be skating from 7pm until 2am to ring in 2015! We’ll even have a balloon drop at midnight, hats, horns and a celebration dance party! We will ring in the New Year in style as we live the stream the epic ball drop in New York City on our 12′ screen! What could be better? Putting the finishing touches on your Christmas list? 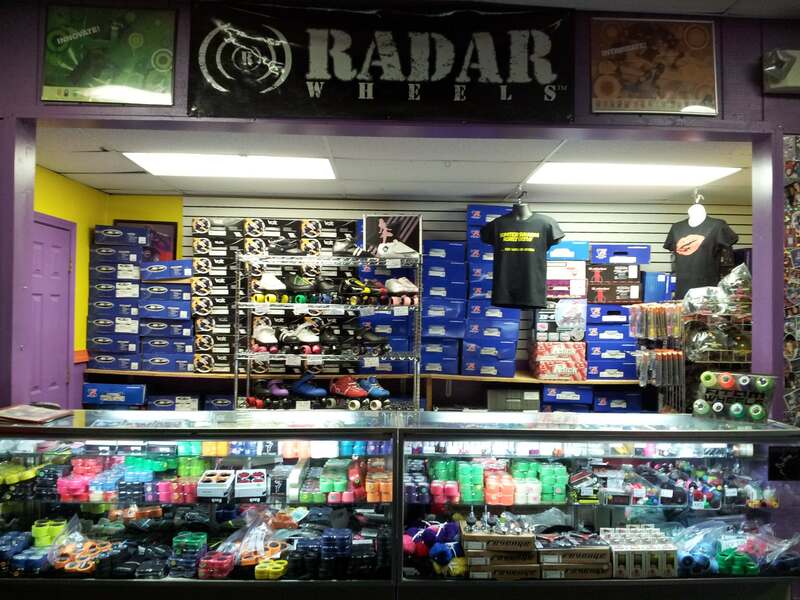 Don’t forget about our pro-shop and our amazing selection of skates! Tip: Gift cards to Skate Station make AWESOME Christmas gifts! Parents: We also have have layaway for just $20 down! Are you ready for Christmas vacation? We’re counting down the days! For more information on our skating sessions, special events or the proshop, contact us here. If you’re an athlete or simply have another activity you usually do such as swimming or running, think of roller skating as cross training for your other activities. If you’re a runner, a soccer player or even a dancer, roller skating can be a great addition to your routine to help improve the muscles in your thighs, glutes and calves. Not to mention, roller skating can improve your balance. Working on these muscle groups in a different way will help your strength and performance overall. In addition to the physical benefits of skating, it is weather proof! With dipping temperatures and shorter days it may seem impossible to fit exercising into your schedule before it’s pitch black and freezing outside. However, roller skating can be done entirely indoors, so there is no need to worry about winter-friendly clothes, or what time of day you skate. 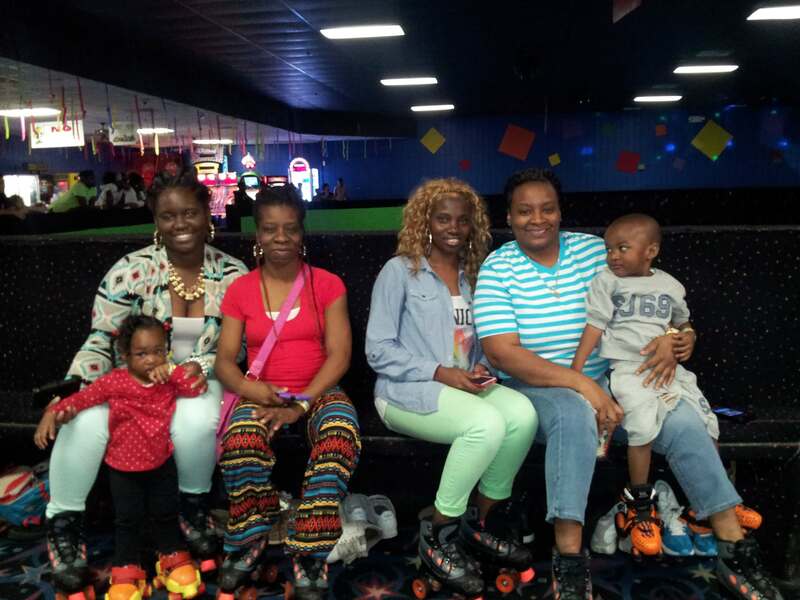 At Skate Station in Sumter we have tons of skating sessions throughout the week so you can get your exercise in and have a great time! For more information on our skating sessions, check out our schedule here. 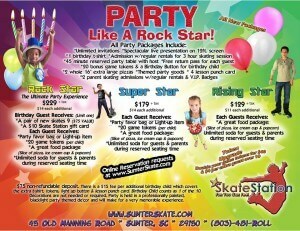 New Birthday Party Packages Are Here! You can party like a Rising Star for 129 (plus tax), a Super Star for $179(plus tax) or a Rockstar for $229 (plus tax). With Black Friday and the holiday shopping season right around the corner, we want to ensure that you get the perfect gift for your son or daughter while also taking the guess work out of your shopping experience. If you’re considering buying roller skates as a holiday gift this year, here are some tips to help you out as begin to shop. A note about speed skates: The name may be slightly deceiving, speed skates are not actually faster than traditional quad skates. They have wider wheels and a lower cut boot, giving them a very modern look. At Skate Station, this is our most popular type of skate as a first-time purchase. Our speed skates start at $75. This style is a great first-time skate! If you’re an avid online shopper, we know that Cyber Monday sales are extremely tempting, however, it is important that roller skates are purchased in person. Don’t worry, you don’t have to ruin the surprise for Christmas morning! Simply buy the style you think they will like the most and then bring them back after Christmas for the initial set up. Much like buying a bicycle, roller skates do not come assembled or tailored to fit. This requires set up and fitting. When sporting goods stores carry roller skates, online or in stores, they do not come with any customer support when it comes to fitting, regular maintenance and assembly. 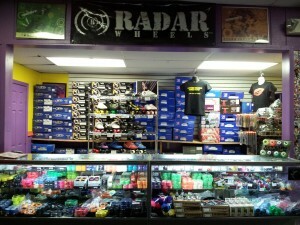 At Skate Station, we are always here, even after the purchase. We’ll be here waiting for you for the initial and secondary set up. Once your skater has gotten on the rink, we’re here to adjust the wheels, examine the boot if needed and ensure that the fit is perfect for the person’s foot. We believe the relationship at the pro-shop extends long after the sale. Ready to start shopping? Stop by the pro-shop to check out our styles by Riedell, Vanilla Skates and Suregrip. Stay Fit This Winter by Roller Skating! As we lose an hour of daylight, it’s just another reminder that Winter is on its way. During the cooler months, it’s important to stay fit in order to prevent getting sick and to fight off the winter time blues. Here are some reasons roller skating is a great addition to your winter-time workout routine. You don’t have to worry about the weather! No need to worry about being too cold to go on your jog or walk the dog, leave the forecast behind and bring your family for a night of skating. It’s a safe option to help kids get some exercise when it is too dark to go play outside. When getting sick is easy enough at school, there’s no need for there to be added risk by being outside when it’s too cold. Make a new winter-time tradition out of roller skating! It’s great for everyone, not only are you getting a great workout, but you’re also spending time with your family. This can only add to the sentimental value of the holiday season! The health benefits are endless! Did you know that studies have shown that roller skating engages every muscle in your body? In addition, an hour of roller skating can be as effective as an hour of jogging! An hour of moderate-speed skating can burn around 300 calories per hour for a 140 pound person! Are you ready to get started? Beat the winter blues before they hit, check our schedule regularly for skating sessions and special events! Inline Skates: Inline skates, or rollerblades, are skates where all four wheels are in a straight line as opposed to the the more traditional quad style with two in the front and two in the back. Inline skates are best suited for someone who would be skating outdoors as they perform the best on uneven surfaces. Quad Skates: Quad skates are the most popular and come in different styles. Traditional quad skates have a boot that laces all the way up and over the ankle. The boot itself is similar to the boot of an ice skate. Speed skates are cut lower to the ankle and have a similar shape to that of a cross-trainer or basketball shoe. They tend to be a bit more sleek but are not actually any faster than their traditional counterpart. It is not a good idea to skate outside in quad skates; the wheels are specifically designed to glide on an indoor rink floor, not the street. Fit: The boot of your skates should be snug as the material will stretch and conform to fit your foot. If you are unsure about how your skates should fit, you should purchase them from a professional pro shop. 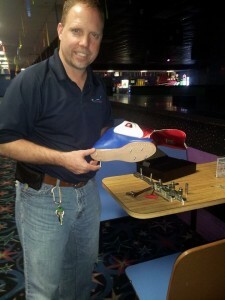 At Skate Station we can help you make sure your skates fit and are assembled correctly. It’s time to start thinking of gift ideas as the holidays are around the corner. For more information on purchasing roller skates, contact our pro shop today. Now is the Time for Holiday Layaway! Did you know that our pro shop at Skate Station has a layaway program? That’s right! We want you to be able to get all of your holiday shopping done in a way that is affordable for you and creates a special experience for the lucky person who gets your gift. So what is the program? You can purchase anything at our pro-shop and put it on layaway for 20 dollars per item. Our 90 day layaway program will allow you to have your gifts paid off in time for Christmas! When you buy skates at Skate Station you are not just purchasing the skates, you are purchasing a custom experience. If you’re giving a pair of skates as a gift, the gift will be much more than the skates themselves. Our pros are here to help ensure that the fit is correct and that the wheels are properly aligned and installed. 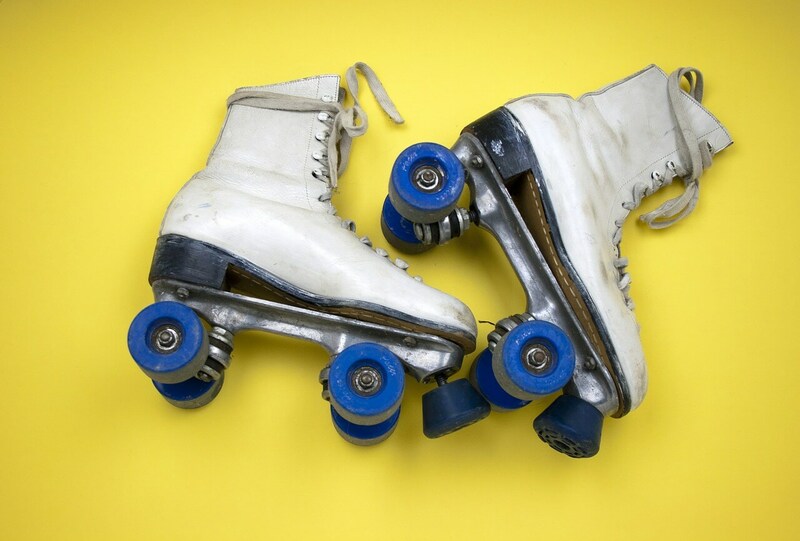 The boots of roller skates are flexible and will quickly mold to the shape of the foot. It’s important that they are properly cared for and assembled to ensure that they last as long as possible. If the holidays come and they aren’t quite the right size or model, no problem. Unworn and unused merchandise can be exchanged. We look forward to seeing you and fitting your brand new skates. 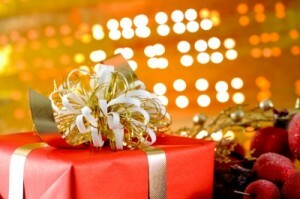 Don’t delay on your holiday shopping, have your gifts paid off by Christmas! For more information about the inventory at our pro shop or our layaway program, please contact us here. 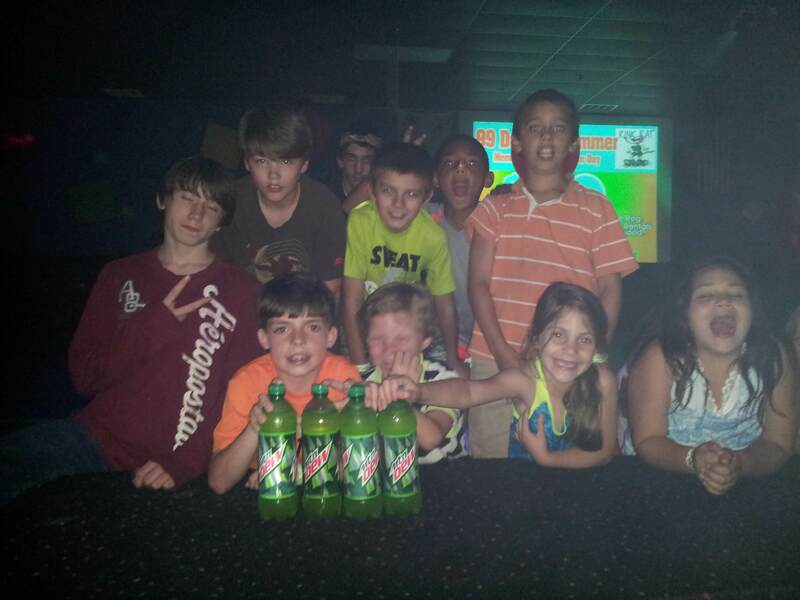 Have Your Group Function at Skate Station! With the holiday season quickly approaching, now may be the time you start thinking about private events for your group or business. If you’re considering a private party for your company, why not plan a holiday event that is fun for everyone and maybe even their families? 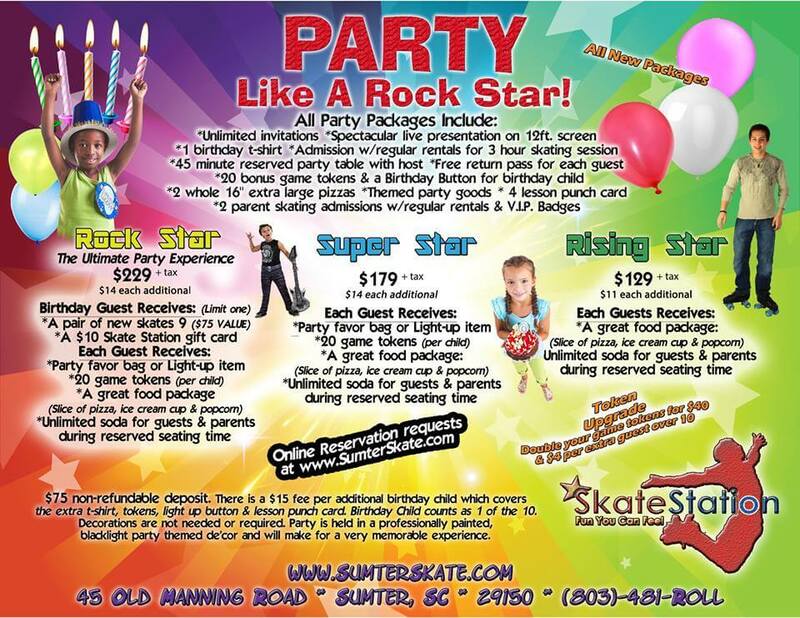 At Skate Station we’re committed to planning an event that will be the highlight of everyone’s holiday season. Our private events aren’t just great for the holidays, they’re also suitable for any church group, doctor or dentist’s office staff, boys and girls clubs, or restaurant staff. 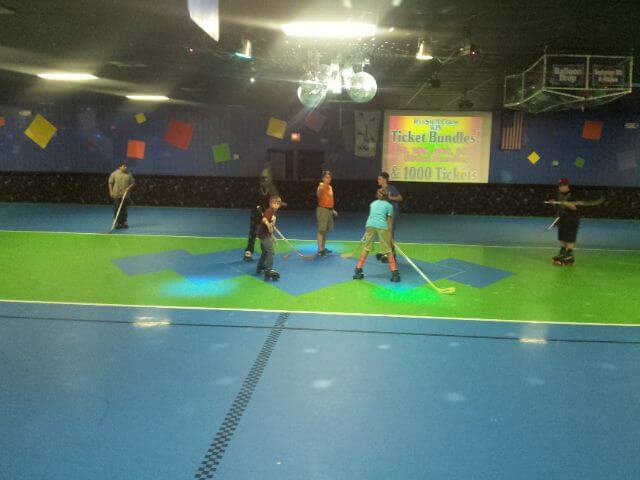 Having your group event at Skate Station is a great way to create an engaging, team building atmosphere while also having fun! Roller skating is an interactive and aerobic activity that promotes fun and socializing, which makes Skate Station the perfect venue for school functions. Need an incentive to get those grades up at your local school? We host Honor Roll events to recognize the students that have worked hard and deserve a special treat to celebrate their efforts. Skate Station is also a great spot for your next school field trip. So what’s included? For $400 you get admission covered, private use of the rink, as well as a two hour skate rental for 100 people! Be sure to reach out to our staff about our catering menu, too. For more information about booking your group event, contact us here. Don’t delay, the sooner you book, the greater chance of getting your preferred time and date! We look forward to hearing from you! Let’s face it, at Skate Station we love roller skating all year long. We don’t need a single month to appreciate how it promotes healthy activity with great friends, but we love to take the opportunity to highlight all of the great ways rollerskating can impact your life! Getting scholarly: Did you know that if you are a relative of someone who is a member of the Roller Skating Association (RSA), you can qualify for a college scholarship? Not a relative, no problem! You can also get the scholarship by being an employee of a rink that is a member of the RSA. This is just one more reason to come to our auditions and work with us at Skate Station! As a member of the RSA, you could qualify as an employee. Getting physical: Roller skating is good for you! Did you know that an hour of moderate speed skating can burn as many calories as jogging? There are multiple disciplines of roller skating, too! From figure skating to roller derby there is something out there for just about everyone. Did you know that roller skating was first invented by John Merlin in the early 18th century? He was not a great skater himself but he did first create the first pair of skates. James Plimpton is considered the “Father of Modern Roller Skating”. He invented the first quad-skate that modern skates are modeled after. He also opened the very first roller skating rink that would be open to the public, it was in the dining room of a luxury hotel. James Plimpton also developed the system for instructing roller skating. The 1970’s was when rollerskating made a huge leap in popularity along with the popularity of the roller disco. The artist that got his start in era is still a mainstay in roller rinks today: it’s none other than Michael Jackson! What’s your favorite thing about roller skating? We want to know what makes you want to get your roll on, let us know in the comments below! Sunday is Military Discount Day! The Great Skate Debate: Buy or Rent?